A LARGE part of Mooloolaba is in darkness after this evening's storm. Around the intersection of Tarcoola Ave and Goonawarra Dv. Residents say the power has been out since about 5pm after a loud lightning strike. Police have closed Tarcoola Ave where crews are working on a fallen powerline. ALL storm warnings across Queensland have been cancelled but the rain keeps hammering down over parts of the south east. More than 10,000 lightning strikes were recorded in Brisbane this evening, causing around 4,000 homes to lose power. RAIN, damaging winds and hail are forecast to continue to over much of southern Queensland this afternoon, although the severe thunderstorm warning east of Dalby from Rainbow Beach to Stanthorpe has been cancelled. The BOM says the immediate threat of severe thunderstorms has passed, however thunderstorms are still occurring in the area with small hail possible. However a more general severe thunderstorm warning still exists and is likely to affect the Gold Coast, Brisbane, Maroochydore, Gympie, Coolangatta, Ipswich, Moreton Bay and islands, Kingaroy, Beenleigh, Caboolture, Caloundra and Taroom. According to Energex, 1745 homes are without power in the Brisbane area and 826 in the Moreton Bay area. STORMS are hitting areas of Brisbane and the Sunshine Coast hinterland, with parts of Esk and Morayfield reporting hail. 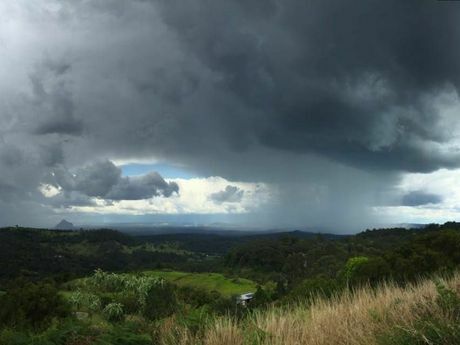 The Bureau of Meteorology says servere thunderstorms were detected on the radar at Logan City, Jimboomba, Woodridge, Sunnybank Hills, Beerburrum and Mount Beerwah at 3:05p and are moving east. They are forecast to affect Beenleigh, Cleveland, Ormiston, Bribie Island, Beerwah and Peachester by 3:35 pm and the area southwest of Caloundra, Victoria Point, Dunwich, Peel Island, waters off Bribie Island and northern Bribie Island by 4:05 pm. There have already been more than 10,000 lightning strikes in the region, causing power outages around Brisbane. 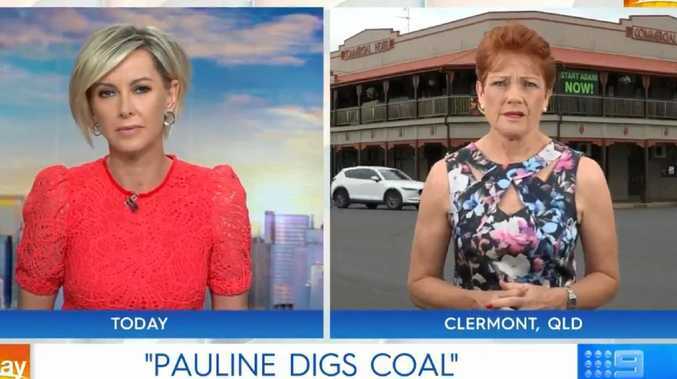 Energex spokeswoman Karen West told 612 ABC Brisbane about 4,400 properties were without power. Looks like these cells could produce lots of small hail today as what has just happened in Esk! A more general severe thunderstorm warning is also current for the Southeast Coast and parts of the Central Highlands and Coalfields, Wide Bay and Burnett and Darling Downs and Granite Belt districts. This alert warns of severe thunderstorms, damaging winds and large hailstones for Brisbane, Ipswich, Moreton Bay and islands, Beenleigh, Caboolture, Toowoomba, Kingaroy, Caloundra, Taroom, Yarraman, Gayndah and Mundubbera. THUNDERSTORMS are moving eastwards across southern Queensland. At 2:20 pm, severe thunderstorms were detected on weather radar near Harrisville, Lake Manchester, Upper Brookfield, Mount Nebo, Highvale and Dayboro. These thunderstorms are moving towards the east. They are forecast to affect Strathpine, Albany Creek, Lake Samsonvale, Kallangur, Narangba and Burpengary by 2:50 pm and Brisbane CBD, Redcliffe, Brighton, Scarborough, Deception Bay waters and Beachmere by 3:20 pm. 1:40PM FORECASTERS are predicting storms to hit south-east Queensland this afternoon including parts of the Somerset, Sunshine Coast, Moreton Bay and Brisbane City Council areas. At 1.35pm, severe thunderstorms with damaging winds and large hailstones were detected on weather radar near the area south of Esk and northern Lake Wivenhoe. They are forecast to affect Lowood, southern Lake Wivenhoe, Somerset Dam and Peachester by 2:05 pm and Fernvale, Mount Nebo, the D'Aguilar Ranges, Mount Mee, Mount Beerwah and Beerwah by 2:35 pm. A more general severe thunderstorm warning is also current for parts of the Southeast Coast district. Locations which may be affected include Maroochydore, Ipswich, Caboolture and Caloundra.